Super Clean 360 is full-service residential & commercial cleaning company offering cleaning services in Berkeley, California and surrounding towns. Whether you are searching for a Berkeley commercial cleaning company to provide reliable, regular office cleanings, or window cleaning or all of the above, Super Clean 360 is a name Berkeley businesses trust! Here at Super Clean 360, we stand by our guarantee “24 hour – 100% satisfaction.” If not satisfied with your cleaning, call us within 24 hours; if we can’t fix it, your next cleaning will be free! For your convenience, we offer daily, weekly, monthly, one-time cleaning services, or whatever suits your needs. Super Clean 360 is managed by a college educated staff that have over five years of small business experience in hospitality and professional cleaning. Our cleaners are not only trained using our C.O.R.E. training technique, but their work is also regularly inspected by supervisors. "Having owned a restaurant in the San Francisco Bay area, I found myself struggling with the cleaning crew daily. The frustration with the lack of attention to details, and the inconsistencies in the quality of work kept growing. I ended up hiring and training my own cleaning crew to meet my expectations. From this, we grew our cleaning business, which is how Super Clean 360 was born. 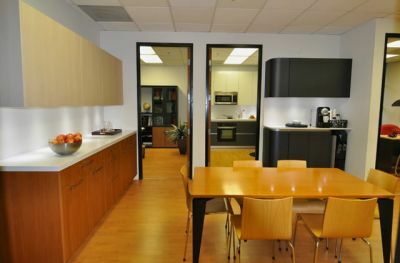 Over the years, we have served many companies in the Berkeley area. Our philosophy of working hard and being consistent in meeting your needs without breaking your budget has served us well over the years. It is a tradition we will continue to carry in the years ahead." We will price match your current service price or bid, just show us your most recent proposal or invoice and get better, more consistent, service Guaranteed! Medical Facilities - Hospitals, Clinics, Doctor's Offices, etc. And more! Just call (510) 431-9051 for a free estimate. Cleaning is done to your specifications and your schedule. Regular cleaning programs include trash removal, paper product restocking, carpet and hard floor maintenance. Your building will be maintained in prime condition with Super Clean 360 providing your Berkeley janitorial services. Super Clean 360 has proudly partnered with Cleaning For a Reason, an international nonprofit organization that has helped more than 17,000 women who are battling cancer. 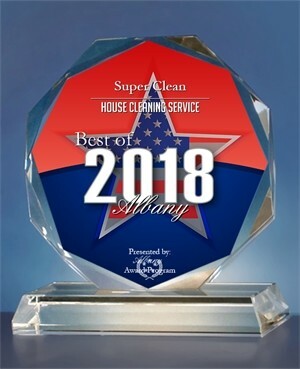 Super Clean 360 was chosen for the 2018 Best of Albany Awards in the category of House Cleaning and Janitorial Service. The Best of Albany Award was created to acknowledge the best businesses in our community. Super Clean 360 has recently been endorsed as one of the top 14 house cleaning experts out of 100 reviewed! Wanting to give all of their readers the confidence to make the right choice in choosing a Berkeley House Cleaner, Super Clean 360 was analyzed and scored across 25 criteria!